Made of durable and premium crystal glass, this ashtray is just over 5 inches across with 4 notches for your smokes. This ashtray is 1 inch deep and a hefty piece that is sure to not budge! 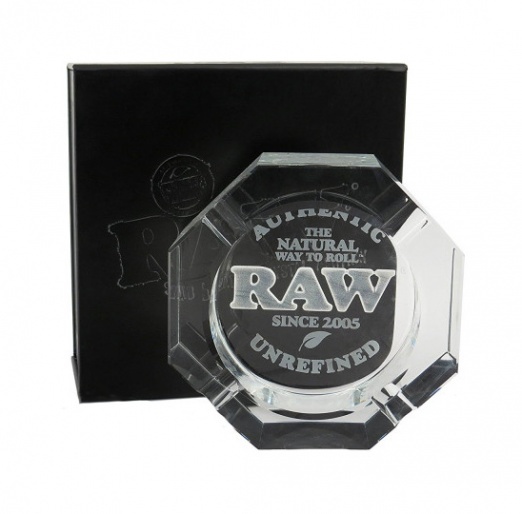 On the underside of this crystal ashtray, RAW is engraved into it to give it a quality finishing touch for you to admire.